For their Shawbrook residency, Junk Ensemble will collaborate with acclaimed Irish visual artist Alice Maher and one female dance artist to continue their research and devising, exploring transformation and hybridity of the female form. Hannah Rogerson & Tea-Time Company will spend their week at Shawbrook working on Linear, a new full-length production that will premier in 2020.
sports stars, actors and celebrity. Matt Szczerek and HUMAN COLLECTIVE will spend time at Shawbrook developing a new work BLAME GAME. The piece will look at BREXIT and its possible consequences of divide in Europe. We will observe what it means to be on both sides of the ‘BLAME GAME’, examining ideas around social obedience, personal choice, media manipulation, violent rhetoric and negotiation. Veli will spend time at Shawbrook developing a new work under the title Forest of Harvested Time . ? This will be the first longer work period on the project and we will mainly focus on movement research, developing conceptual framework and articulating practices, which we will apply later in the creation. Breandán de Gallaí is Ériu’s artist director and choreographer. He has created several works in recent years, most notably Aon, Lïnger, Rite of Spring and Noċtú. Breandán will be joined by company members to develop a new and exciting dance work. Janne Aspvik will spend a week at Shawbrook developing a new work that will have its premiere in Finland at the end of 2019. It is his intention to work in a disciplined and efficient manner, and produce as much high quality choreographic material as I possibly can during his stay. This residency will be the beginning of the research and development period for a new piece by Kristyn Fontanella Dance, where they take what we know from traditional Irish step dancing and use it in a contemporary context. Kristyn will be joined by dancer and long term collaborator Sibéal Davitt and two other dancers. Heli Keskikallio will immerse herself into a new work, Flesh Thing, a hybrid of a performance piece and painting happening that mixes bodily techniques with live painting. It researches associative chains created by non-linguistic meanings proposing an associative mode of representation. The work is at its embryonic stage, and in the Shawbrook residency we will focus on developing the corporeality and the bodily practice of the work. Part study of human nerve and frailty, part psychological thriller, hard wire is the new contemporary dance duet by Bare Nerve co-creators and performers Emma Kerson and Jane- Alison McKinney. This exciting new work will be developed during their residency. Shawbrook Summer School Junior Camp is now fully booked. Join us for Thursday night Choreography Night on the Forest Stage. Students will present original pieces of work they have practiced during the week. Having an audience awards them the opportunity to develop performance skills and receive feedback. The is a FREE event. * Assemble in the court yard, you will be led to the Forest by a guide. * NO PETS allowed on site. Thirty years since his last performance at Shawbrook, Irish folk singer-songwriter Luka Bloom returns to play on the Forest Stage on Thursday 8th August for Choreography Night, part of Shawbrook’s Annual Summer Programme. This promises to be very special evening of music and dance. Tasked with devising and choreographing original pieces set to a selection of Luka’s songs, student dancers attending Week 3 Shawbrook Summer School will have the exciting opportunity to perform accompanied by Luka Bloom onstage. Audiences can enjoy more of Luka’s songs before and after the performance.For over 30 years Shawbrook's week-long residential dance courses have been honing students’ skills in Ballet, Jazz, Aerial, Contemporary, Choreography and performance. Our tutors are professionals in the world of dance both at home and abroad. Thursday Choreography Nights are a huge part of the week for young dancers. Previous performances with live musicians include; Liam O’Maoinlaigh, Preachers Son, Julie Shanley, Emma Lohan, Redmond O’Toole. A TWO week summer dance and choreography intensive for vocational students and pre-professionals set in the stunning surrounds of an 18th century Farmhouse in the Irish Midlands. Eva returns to Shawbrook to develop a new one woman show MUSTARD with an original score by musician, Daniel Cummins. The piece follows the journey of a woman who moves back in with her evangelical Christian mother in rural Ireland, after a traumatic breakup. Katherine Maxwell is from the United States of America. Her residency at Shawbrook will focus on artistic refueling and the conceptual research and movement development of ‘PRISM’, a large-scale work set to premiere in late-autumn of 2019. ‘PRISM’ is intended to probe the role escapism plays in communal progress. Navigating between the nostalgic and futuristic, the goal of PRISM is to prompt questions that keep us from total sentimentality about the past, complacency about the present, ambivalence about the future. Victoria Siegrist a theatre practitioner, educator, and writer currently based in New York City. She will spend her time here at Shawbrook to continue working on her project titled More Intricate and Fantastic Than the Thing Itself. We are delighted to announce the first recipients of Shawbrook residencies 2019. Aliina Lindroos and John Doran have been awarded week-long residencies to focus on different projects, at different stages of development. immersive performance AUDIENCE -Valtteri Raekallio's physical theatre of the mind to poetry by Eino Santanen. Audience is the latest immersive joint work by choreographer Valtteri Raekallio and poet Eino Santanen. The piece continues Raekallio and Santanen's acclaimed Physical theatre of the mind series of works, which has previously included the productions Representative (2014), Short Stories from Forgotten Rooms (2015) and A Performance (2016). The FINAL Summer Performances on the Forest Stage at Shawbrook. BrookDance Week 3 will share their work that developed during an intensive creative week with mentors Theo Clinkard and Leah Marojevic. Image credit: Frank McGrath Photography. BrookDance is an intensive training and development programme led by International Dancers and choreographers. We are proud to announce our mentors for 2018; Dane Hurst (Rambert), Sarah Reynolds (NDT) and Theo Clinkard. Set in the unique surroundings of an 18th Century Farmhouse in the Irish countryside, Shawbook is the perfect environment to immerse yourself in a concentrated dance programme. Participants are given the opportunity to reflect on and nurture their choreographic practice. There is an opportunity to perform work in a mixed programme of solos, duets and a mentor-led ensemble piece on the Shawbrook Forest Stage in front of an audience. This course is specially designed for dancers age 16+, vocational students and professional dancers early on in their career. BE THE AUDIENCE and join us on Thursday Nights for the Shawbrook Summer School Choreography Nights. July 12th & 19th, 8.30pm, sharp. Join us at 11.30am for the end of Week 1 Performances by the young dancers, mentored by tutors Anica Louw and Ciara Lynch. For over 30 years Shawbrook's week-long residential dance courses have been honing students skills in Ballet, Jazz, Aerial, Contemporary, Choreography and Theatre Craft. Our tutors are professionals in the world of dance both at home and abroad. Shawbrook Summer School is unique as it offers on-site accommodation on a beautiful idyllic 18th century farmhouse with surrounding woodlands of oak, ash and beech trees. Luke Murphy and dancers will begin early research for a new group work responding to research on developments and studies of skin throughout the Renaissance period. With six hundred years behind us we still find ourselves caught between humanistic celebrations of the body and the discomfort of our underlying notions of identity. At Shawbrook Luke will research this fundamental period where notions of the body and the self shifted and conflicted. Rob Heaslip and company will be here in residence for one week to work on his latest creation A GLIMPSE OF FLESH AND BLOOD. Working with Contemporary Vocalist Michelle O’Rourke, Singer Alasdair Whyte, Dancer Maria Nilsson Waller and using music by Composer Ross Whyte, the company will be exploring the means to recreate traditional Gaelic funeral songs and subsequently investigate their manifestation upon the performing body. Chronos is a collective of five young dance artists, based in Amsterdam. Together they create and perform dance pieces in The Netherlands and abroad. During the residency they will start researching for their new work, a piece that will be work within the frame of moving backwards. The concept comes from their fascination for people's need to make (chronological) sense of stories or images. They would like to research the movement quality, which they find is very specific in reversed movements, due to e.g. gravity. They question; if they present the end of the piece as the beginning, does the end then actually become the beginning? When everything is moving backwards do we still try to understand the cause or the beginning? Do we try to make sense by anticipating and imagining what might have happened before? Montreal based dance collective La Tresse will be developing ideas for their new creation L’Encre Noire. They will be exploring the physical shifts that occur when bodies are transported from terrestrial to aquatic environments. The artists are inspired by the dark and enchanting character of the sea and the Irish mythology connected to water. Belgian based dance artist, performer and choreographer Youri De Gussem is in residence to work and develop a new solo "Moi, Voyageur de rêve", a deeply personal expression of mourning and loss. The work is based on the artist's grandfather who fled his home country through war, and risked his life for the possibility to create a new one, in a new country. Actor and writer TImmy Creed will spend one week here at Shawbrook preparing his one man show SPLICED that is to be presented at Cork Midsummer Festival, Ennis Street Arts Festival and Clonmel Junction Festival this summer. SPLICED premiered at the Dublin Fringe Festival 2017. Having met during their time studying in Frankfurt, they founded OXMALA to further their creative ideas and develop their choreographic practice. Eva O'Connor will be in residence to develop a fresh new piece "Get RREEL", which will use dance, physical theatre and tech to explore the story of a world famous girl band on the brink of collapse. She will be working with dancers Roisin Laffan, Louise Hynes, Robyn Byrne, and Elspeth McKeever who have worked together in various capacities over the years, having first collaborated in Shawbrook in their early teens. Peter Power will be in residence along with Stephanie Dufresne, Michael Gallen and Peter Power to spend time developing a new music work "In Clouds"
‘In Clouds’ is set for premiere at Cork Midsummer Festival 2018 for 6 performances at Triskel Arts Centre. Laura takes up residency at Shawbrook to research and develop material for a new work choreographed in the classical/neo classical style. Drawing on her experience and love for classical ballet, and personal experience in other dance genres to generate movement ideas. Set to music by Bach, reflecting the musicality and overlapping melodies within Bach’s music, and echoing ballet’s historical roots within early court dance. This preliminary research will begin a process, which will continue with a two-week residency in DanceHouse in July 2018 and culminate in a studio performance, involving seven dancers. "I hope to reconnect with classical dancers who often lack opportunities to perform in Ireland, and to promote and diversifying new classical works. I am very much looking forward to my first residency, my first experience in Shawbrook, and I am appreciative of the opportunity to start my research for this project." This project is being mentored by Marguerite Donlon, and is sponsored by The Arts Council. Catherine young is the Dance Artist in Residence at Backstage Theatre, Longford. In the new year, Catherine will be working on her own solo practice, and will begin rehearsals for her company's new ensemble work State of Exception featuring a stellar cast of Irish and international performers. State of Exception will premiere at Backstage Theatre, Longford March 15 before touring to Project Arts Centre, Dublin (22-24), Siamsa Tire (March 25) and the Firkin Crane (Apr 13). Residency partners: The Arts Council (DAR scheme), Shawbrook, Backstage Theatre Longford, and Longford County Council. Michelle Cahill takes up a two week residency at Shawbrook to create and preview her first full-length solo work, Thirteen Steps to the Attic. The work is a creative collaboration with Yorkshire based performer/director Rowan Tolley. Funded by an Arts Council Project Award, supported by Shawbrook, Dance Ireland, Tipperary Dance Platform and a Firkin Crane production residency. Shawbrook are offering a number of residencies for 2018. A RESIDENCY AT SHAWBROOK IS AN OPPORTUNITY TO PAUSE, REFLECT, REJUVENATE CREATIVE ENERGIES IN A VERY UNIQUE, RURAL ENVIRONMENT. A SHAWBROOK RESIDENCY IS LOW-TECH, LOW-KEY AWAY FROM THE HUSTLE AND BUSTLE OF THE CITY. WHAT YOU NEED IS WITHIN YOU, AND SHAWBROOK PROVIDES A PERFECT ENVIRONMENT TO CULTIVATE YOUR CREATIVE VISION. Argyro Tsampazi is a dance practitioner from Greece, currently completing a PhD in Dance at Queen’s University in Belfast. The title of her PhD Research is: ‘The Application of the Orthodox Ascetic Practices to Choreographic Processes and Dance Performance’. Argyro will be joined by 6 dancers from Greece as part of her research based residency at Shawbrook. Finnish choreographer Johanna Nuutinen takes up residency here at Shawbrook to develop her latest piece IRIS. The multidisciplinary work is directed by Johanna Nuutinen in collaboration with film maker Jukka Rajala-Granstubb explores the themes of strength, desire and survival through the mediums of dance, film and photography. The production will premiere in Helsinki, Finland in September 2017. With them are renowned dance artists Nathalie Ruiz and Yvan Auzely. The production is supported by Finnish Cultural Foundation, Arts Promotion Center Finland, Vivicas Vänner Foundation and Huber Foundation. You're invited to BE THE AUDIENCE and be part of our eclectic Summer Series of open air events at Shawbrook. Selected through an open-call, dancers in full-time vocational training and recent dance graduates will take part in an intense, immersive dance and choreography programme. Led by Maya M. Carroll and Marguerite Donlon the dancers invite you to join them on the Forest Stage for an evening of new, original work. BrookDance is part of the annual programme of events at Shawbrook, a space for dance and creativity in the Irish Midlands. 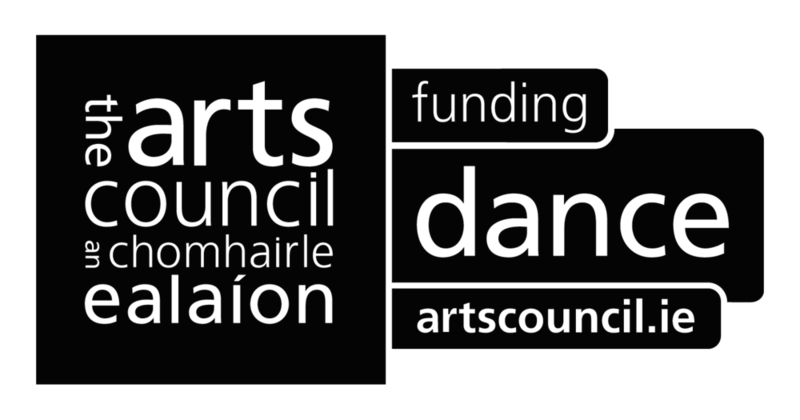 BrookDance is supported by the Arts Council of Ireland.